After 16 years in the building trade as a carpenter and joiner, I was looking to advance my career as much as possible. My GCSE results were not much to be desired so I began by completing the foundation year at Plymouth University. I was then able to progress to the BEng (Hons) Civil Engineering degree, which has allowed me to secure a job working for the structures team building the new A380 south Devon link road. Since graduating, my work has included assisting site engineers with setting out and surveying earthworks, culverts and bridges, along with supervising and coordinating contractors/sub-contractors, creating method statements and permits etc. The work carries a lot of responsibility but is very rewarding. My education at Plymouth University has been epoch-making in my career path. One of the best decisions I have ever made in my life. "I really enjoyed my time studying at University of Plymouth. The University has some very supportive and experienced lecturers. Thanks to my degree I am now working for an international consultancy firm as a Graduate Engineer." 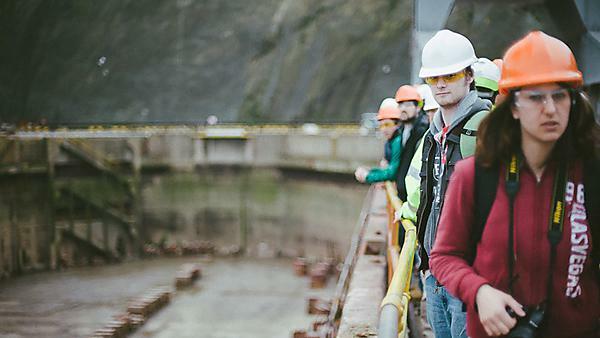 "The foundation course really helped prepare me for my BEng (Hons) Civil Engineering degree at Plymouth and for university life in general. The tutors were excellent in helping me to achieve my goals. During my degree the placement year gave me excellent work experience working as a Site Engineer with Alfred McAlpine Civil Engineering. Since graduation I have been working with Hyder Consulting as a Graduate Structural Engineer, gaining experience on many interesting and varied projects. I am also working towards Chartered status."